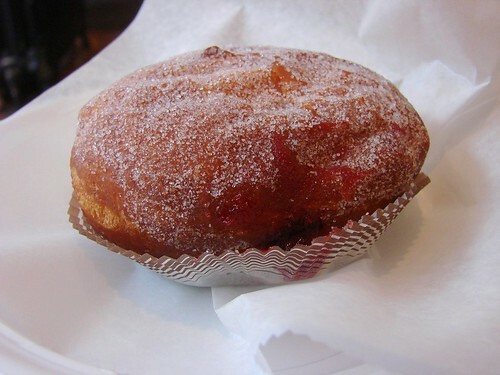 2) you snooze, you lose out on beignets. They make them in the morning and when they are gone (usually within an hour) they are gone. Our second visit just further confirmed lesson two. If you go in the afternoon there will not be beignets waiting for you. On our third visit, this past Sunday morning at 11:30am, we were finally rewarded with a case full of beignets. 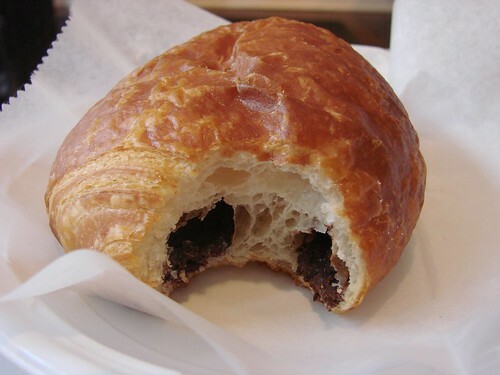 Not wanting our beignet to be lonely, we decided to spring for pain au chocolat as well. The beignet was utterly delicious. 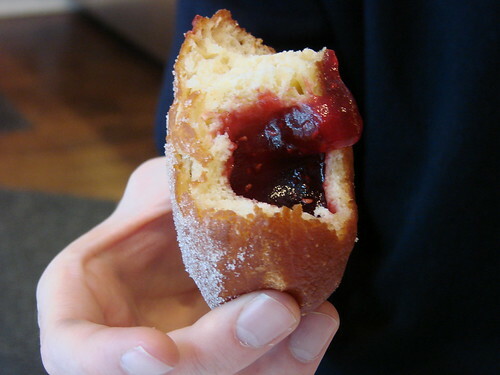 The dough itself was soft, airy and perfectly sweetened and the filling, oh the filling. 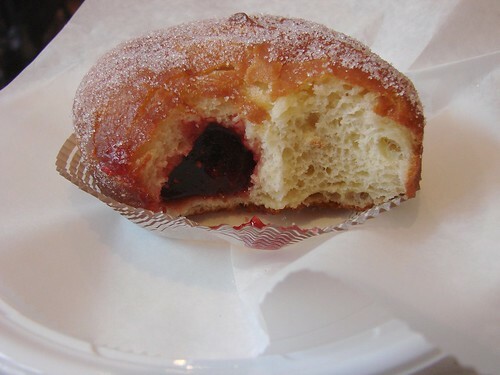 The photo below is a little misleading because it looks like the beignet is only about half filled. In reality there were probably only about 2 bites that were mostly fillingless. I'm not sure how they managed to fit so much raspberry jam goodness in there, but I'm glad they did. The pain au chocolat was a nice second breakfast treat. The pastry was light and flakey and they didn't skimp on the chocolate. I would definitely order both again (and soon! ).